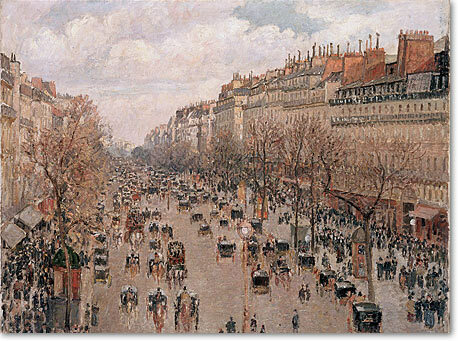 Impressionism was the start of the modern era and a 19th-century art movement that began as an informal organization of Paris-based artists, Monet and Renoir being there from the start. At the beginning they were ridiculed for creating unfinished paintings. 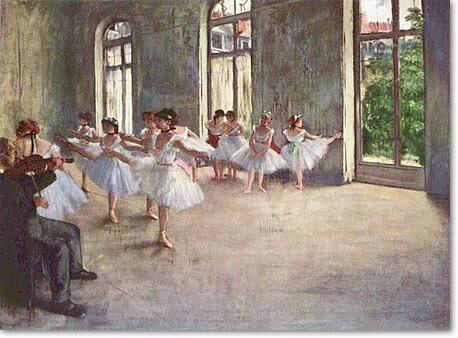 In contrast to the academic tradition the impressionists painted with small and thin but visible brushstrokes with pure colors which gave the paintings a somewhat sloppy and unfinished look. They moved out of the studio and painted "en plain air" (outdoors) and there on the spot they could capture the light which was so important to them and portray overall visual effects instead of details. The painting style seems to be very spontaneous and hasty, but often the artists repainted and altered their work before they were satisfied. They often used a white canvas which made the colours more vivid, but it also required very skillful brushwork. In 1874 during the first independent art show of the Impressionists, Claude Monet displayed the painting Impression, Sunrise. 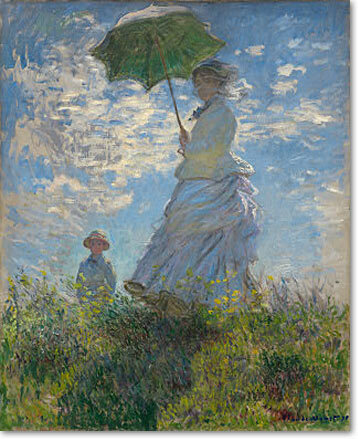 Later a critic, inspired by the name of the painting, coined the term impressionism when he published his review of the exhibition, having not too high thoughts of the painting. Characteristics of impressionist art include relatively small brush strokes with pure color instead of a gradual transition of colors. Unusual visual angles, depicting movement; catching a quickly registered moment and focusing on "here and now". Ordinary subject matter was important and they put emphasis on the accurate capture of light. 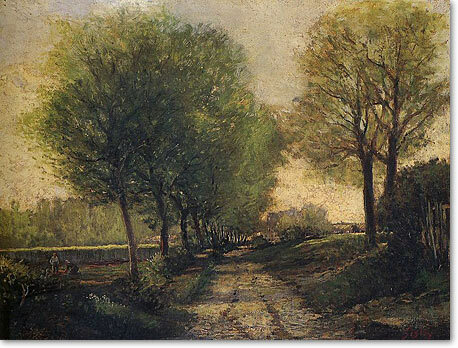 Many paintings are landscapes and outdoor motifs. 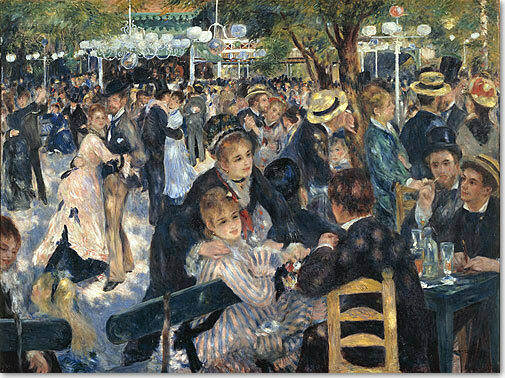 Impressionism became an important precursor to various movements which would follow, like Neo-Impressionism, Post-Impressionism, Fauvism, and Cubism.